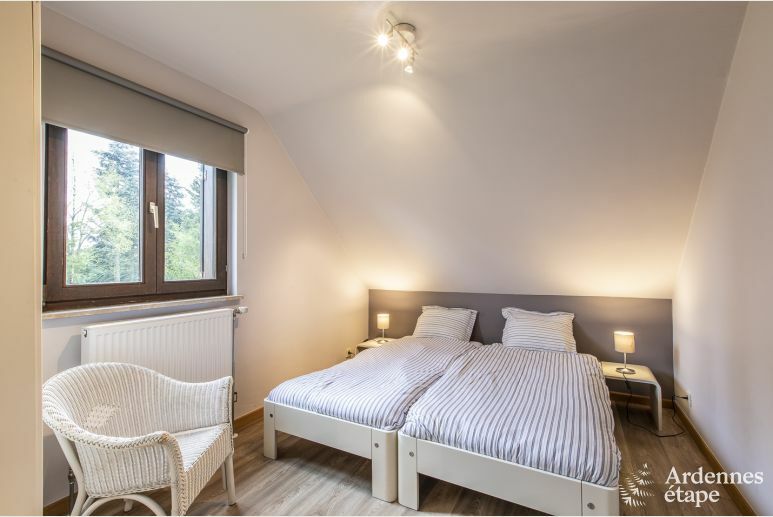 This 3 star chalet for 4/5 persons in Ovifat will be perfect for relaxing holidays close to nature . The chalet may host up to 5 persons in the best conditions. Enjoy a pierrade evening by the fire in winter. 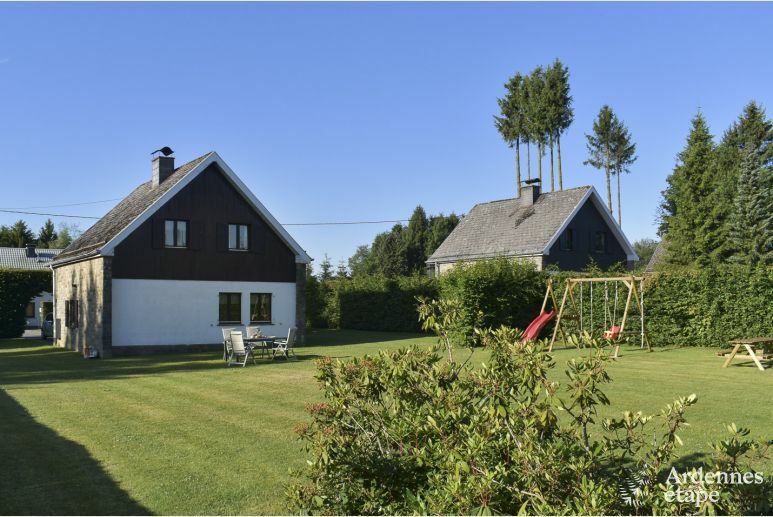 Your holiday cottage is located just 3 km away from the Signal de Botrange is the highest point of Belgium. It is the perfect departure point to discover the High Fens nature park. 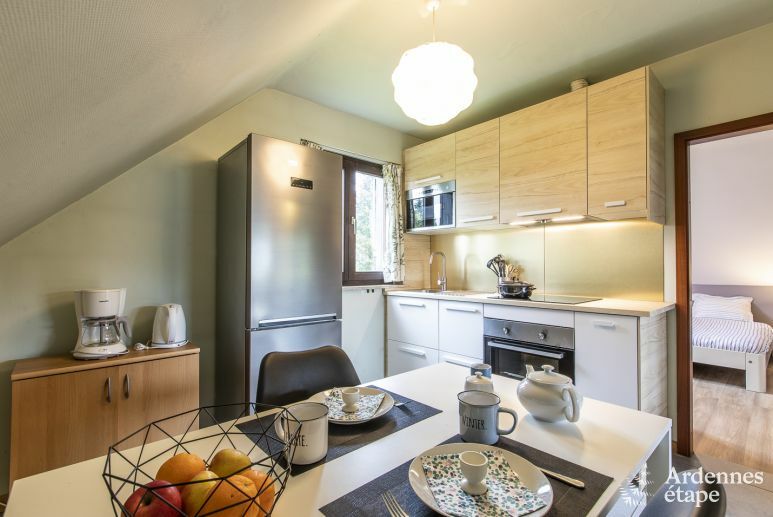 This 3 star chalet for 4/5 persons in Ovifat will be perfect for relaxing holidays close to nature. The chalet may host up to 5 persons in the best conditions. 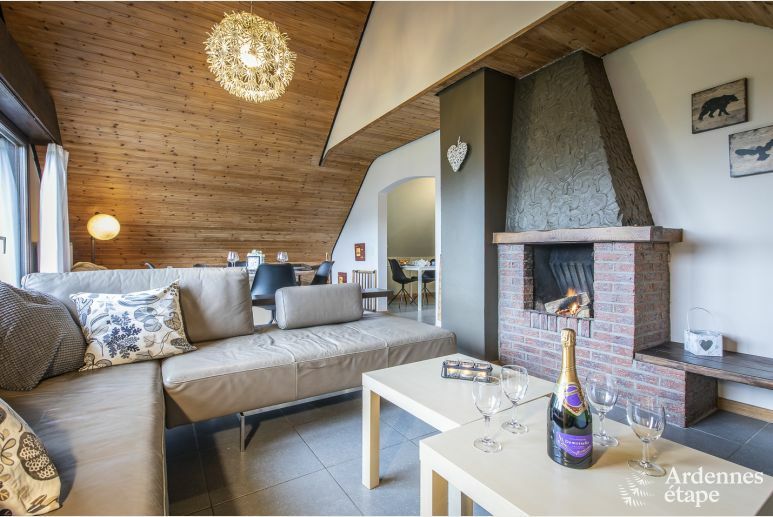 This chalet offers a warm and rustic atmosphere and will be perfect for pleasant holidays among family or friends. 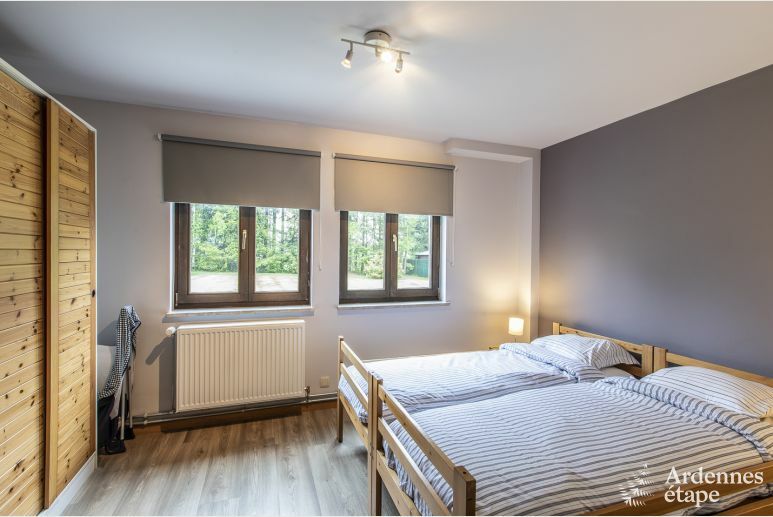 The main room is on the first floor and benefits from large bay windows. You will surely share good aperitifs together by the fire or delicious meals in the dining room. You will find everything necessary in the kitchen to prepare great recipes. You will even have a pierrade machine at your disposal. In summer, you will undoubtedly prepare delicious barbecues in your furnished garden. 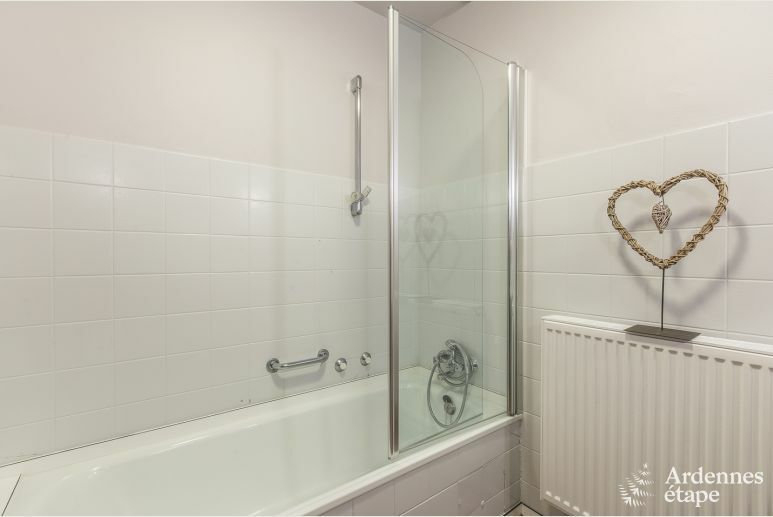 The chalet benefits from 2 bedrooms and 1 bathroom, a perfect holiday rental for 4 persons. An extra folding bed for a 5th person will also be at your diposal. The region of Ovifat is very appreciated for its outdoor activities in all seasons. In winter, you will be close to the cross-country skiing trails of Botrange and Mont Rigi. When the weather gets better, you will surely enjoy the numerous hiking trails available in the region as well as other activities. For example, you will be able to enjoy an e-Scoot ride with Ardennes Activity. And you may also spend a day at the lake of Robertville, an exceptional natural site where you will be able to picnic with your family. 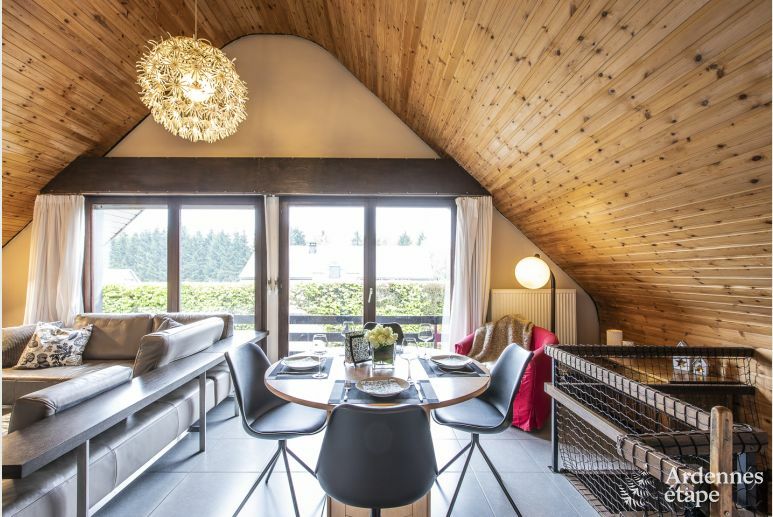 This chalet in Ovifat will undoubtedly make for perfect holidays in the Ardennes. Book your self-catering accommodation now!